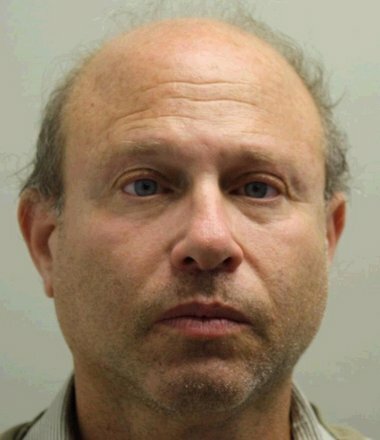 Highland Park, NJ - A New Brunswick man was charged with three counts of third-degree bias intimidation arising from a series of window-smashing incidents at Jewish businesses in Highland Park, and Jewish businesses and a school in New Brunswick and a Chabad, Hilell religious center at Rutgers University in New Brunswick, Middlesex County Prosecutor Bruce J. Kaplan said late Thursday. The charges were filed following an investigation in which authorities determined that Richard M. Green, 52, of Bayard Street, New Brunswick, targeted specific businesses and religious facilities of Jewish merchants, owners and students. Green, charged on Nov. 30 with five counts of criminal mischief in Highland Park, also has been charged with five more criminal mischief counts stemming from the incidents in New Brunswick and at Rutgers. The counts are fourth-degree crimes. A related bias intimidation count was filed in New Brunswick and by the Rutgers University Police Department. Additionally, the Highland Park Police Department filed one bias intimidation charge, according to Chief Stephen J. Rizco of the Highland Park Police Department. Police arrested Green in New Brunswick on Wednesday afternoon, after he smashed storefront windows of five businesses on Raritan Avenue in Highland Park early that morning. This is terrible! I pray to G-d that this man doesn't have children! L-rd only knows what he taught them while growing up! That's the thing w\racists like this guy... they give birth to a whole new generation of racists & bigots & it makes it that much harder to eradicate such behaviors from our society! He's trashing the Jews & vandalizing their property.... but at the same time, just take one look at the guy, and you can tell he's crazy & out of control! But he's complaining about the Jewish people?! Pa-leaze! I would MUCH rather live next to a nice Jewish family, than some crazy racist like him! People like him *belong* locked up, before they G-d forbid hurt people or create more damage! And I certainly don't want my children around them! Kudos to the Police of Highland Park for catching this criminal so fast!